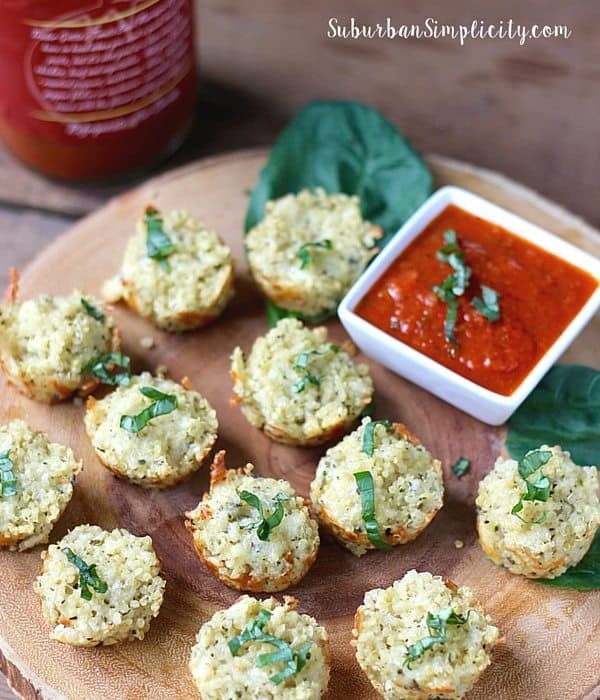 Are you looking for the perfect meal idea or party food idea for the kids? 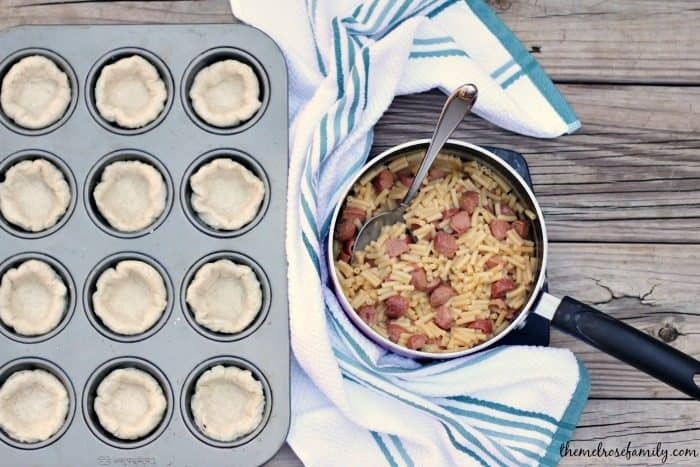 These Macaroni & Cheese Hot Dog Cups are sure to be hit! They combine two favorites into a biscuit and as my three year old said, “We get to eat cupcakes for dinner? !” This of course resulted in the best mom ever comment so you really can’t miss with these! On night busy weeknights when Joe is working late and I make salmon for myself, the girls like to have hot dogs with macaroni and cheese. They would eat it every night of the week if I let them. Last Friday we had one of those busy nights and you might have seen on my SnapChat that the girls were experimenting with their hot dogs. Riley likes to instigate Avery to make all sorts of weird food combinations. It usually involves ketchup in some way, but this particular night Riley decided to join in rather than just instigate. Riley topped her hot dog with pasta salad while Avery loaded her hot dog up with macaroni and cheese. They gave me a brilliant idea! I remembered well that I had frozen Grands Southern Style Biscuits in the freezer from my Apple Pie Crostata so I defrosted those and got to work on my newest hit. 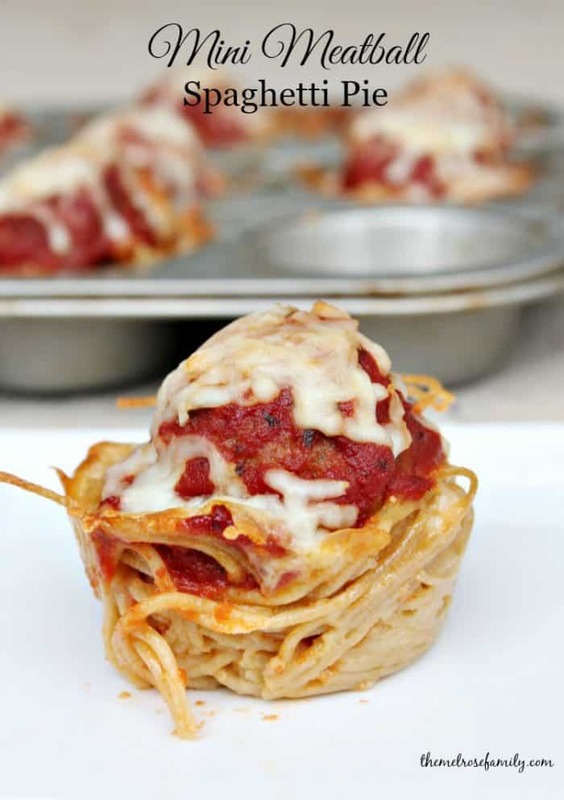 My girls loved my Mini Meatball Spaghetti Pies and Mac and Cheese Cups because they were delicious, but also because they were so fun! 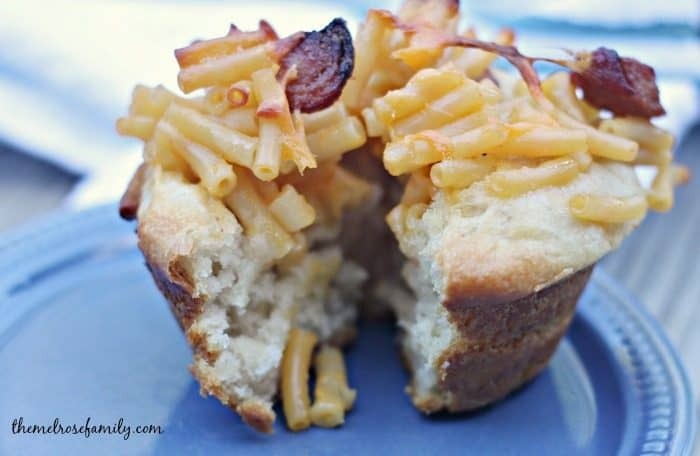 I knew my girls would love it if I combined their two favorites so I mixed macaroni and cheese with bite size pieces of hot dog and placed them into the defrosted biscuits. I simply topped each one with cheese and baked them for 22 – 25 minutes. The girls were absolutely thrilled! Joe and I devoured our ribs and then we both snuck one. They were so good! 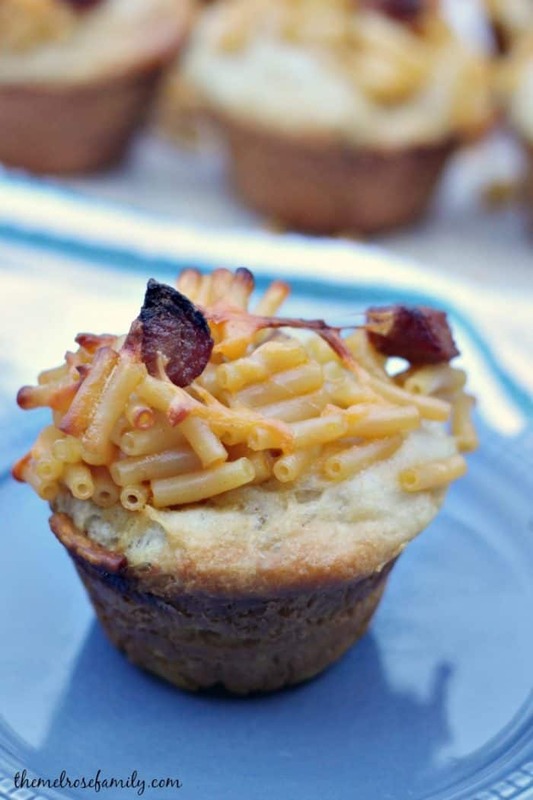 Looking for a fun recipe that the kids will love? 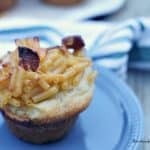 These Macaroni and Cheese Hot Dog Cups are a recipe that everyone will love! Preheat the oven to 375 F. Cook the macaroni & cheese according to the box instructions. Cook 3 hot dogs and chop them into bite size pieces. Spray a cupcake tray with cooking spray and line each one with a defrosted biscuit so that it sits in the cup like a nest. Combine the macaroni and cheese and bite size hot dogs. Scoop a large spoonful of the macaroni & cheese hot dog mixture into each cup. Sprinkle each one with mild cheddar cheese. These sound like fun! Is it possible to use the biscuits that are refrigerated instead of frozen? Up here in Canada we don’t get the frozen ones. Yes definitely! I just had the frozen ones on hand.